He and partners Sean Melnick and Ashley Mendelowitz asked themselves whether SA regulation actually allows competition; whether the industry would support competition; and if they could make some money out of launching a challenger exchange. All three answers were "yes". The exchange opened its doors for business in October 2017 and all systems have run smoothly, with 100% up time since launch. "A2X brings competition by providing a secondary listing venue for the trading of shares. By having a listing on A2X, companies can be responsive to shareholder needs," says Brady. "Not only does a secondary listing provide an alternative venue on which to transact at a lower cost, but the low fee structure also drives significant savings for the end investor as it creates a better-quality market by narrowing spreads and attracting new liquidity." A2X provides a wholesale secondary market, so the investors of the companies listed are mainly institutional investors, according to Brady. A retail client is not precluded from trading on A2X, but needs to open an own name account with a CSDP. The exchange is looking at ways to make it as easy as possible for these clients to also access A2X. "We are also seeing a lot of international interest from investors who are particularly cost sensitive and have traditionally shied away from South Africa, which has been seen as a high cost trading destination," he says. "The Steinhoff issue has, however, made all investors warier as has the uncertainty around the SA political environment and the much-publicised government corruption." According to Brady, SA has traditionally punched above its weight and has a well-developed capital market system. However, in his view, there is much frustration around the on-going development and growth of the market. "While politics and macro-economic policies play a driving role, there is also much that can be done at the exchange level to make SA a more attractive destination," he says. "For instance, while SA has an advanced capital market system, it is generally seen from an international perspective as a high cost destination. "This primarily stems from the fact that the JSE has been the sole service provider for most part of the last 130 years and hasn't been exposed to the competitive pressures that ensure it offers not only an effective service (which it does well) but also a cost-effective service (which we believe it does poorly)." By using the latest exchange technology and business practices, A2X can pass on the efficiency saving in the form of large fee reductions. A2X started 2018 with five listed companies with a combined market cap of around R50bn. At the beginning of April 2019, it had 18 companies listed with a market capitalisation of in excess of R2.1trn. Five of these listings (Aspen, Growthpoint, Naspers, Sanlam and Standard Bank) are constituents of the FTSE/JSE Top-40 Index and account for some 30% of the index weighting and around 33% of trade activity. AVI forms part of the Industrial-25 Index, with other well-known companies such as ARM, Santam and Sygnia also having listed on A2X. "We have also made good progress by increasing the number of approved members from four to nine. 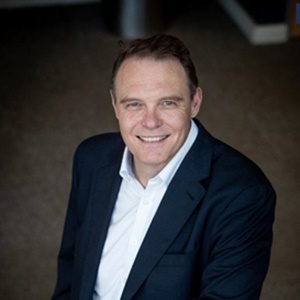 It is a great endorsement of the A2X offering that five of SA's largest six brokers as measured by market activity are now connected and active on A2X," says Brady. "Competition creates a more dynamic and responsive financial markets environment, increases liquidity and drives down fees." For now, A2X is focusing on developing the existing business. "Facilitating access to finance for start-ups is a critical part of the financial markets and it is certainly something A2X will consider at some point in the future," says Brady.